You probably knew a book review was coming when I went all “you MUST read” on you, didn’t you. I greatly appreciate authors like Johnson who are ‘slow hunch’ cultivators, thorough researchers, and articulate explainers. 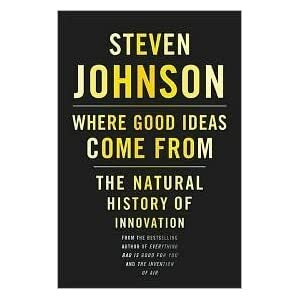 Where Good Ideas Come From: The Natural History of Innovation is a focused celebration of the phrase “hindsight is 20/20.” The scientific history of innovation is curated to support Johnson’s thesis, which is his answer to this question: What kind of environment creates good ideas? — What are the important stories of our own scientific, or innovative history? How were they sequential stories and not singular events? — Where are the different rooms of our ‘adjacent possible,’ and who, among our own people, are already working in them? — We say mistakes are cool, and that we have to ‘fail forward’ in our experimentation, but how well do we actually understand error? Have we built on any errors? 2. It will add to your Language of Intention in culture-building. I love books like these, which teach you new words or phrases, and then treat you like the like-minded insider you become as those words and phrases get built upon in each successive chapter and proposition. Your own vocabulary becomes enriched. For someone like me, strong proponent of aligning our values, Johnson’s exceptionally well written book is a good reminder about the wealth of possibility that diversity contributes to the healthy and inventive mindset. He hasn’t changed my mind about value alignment, and how necessary it is to culture-building; he zooms me forward. Okay, you have a healthy, MWA-infused culture. Now what will it take to innovate and grow? Johnson takes his time with his book’s concluding remarks (more stories!) introducing a final filtering concept he calls “the fourth quadrant” to help us better sit with our own conclusions about what we’ve learned. I’m not one of those cynics he need worry about, but I appreciated his patience and attempt to be so open-minded and thorough. I think Johnson was very smart in including his environmental exploration with a “what if” treatise on governmental systems; it’s an arena where cultural innovation is chronically necessary, and any reformation efforts will be complex, and will take time, keeping Johnson’s book relevant for years to come. I admit to feeling personally challenged by this book still, wondering if I understood everything, and if I took it all in completely — there is so much covered! This will therefore be a book I gladly read again (and now, not later) moving it from a 1st read appetizer and overview to a more complete meal I can savor. A certain degree of reading restraint is called for; I want to read this again before picking up any other non-fiction book. I’d decided that my reading of Where Good Ideas Come From was long overdue because I’ve been a fan of Johnson’s blog, and reading it is a good way to get a preview of what you’ll read in his book. You can be assured the book will be better, for his blog posts are his own “slow hunches,” made public to simmer and cook with some early feedback. 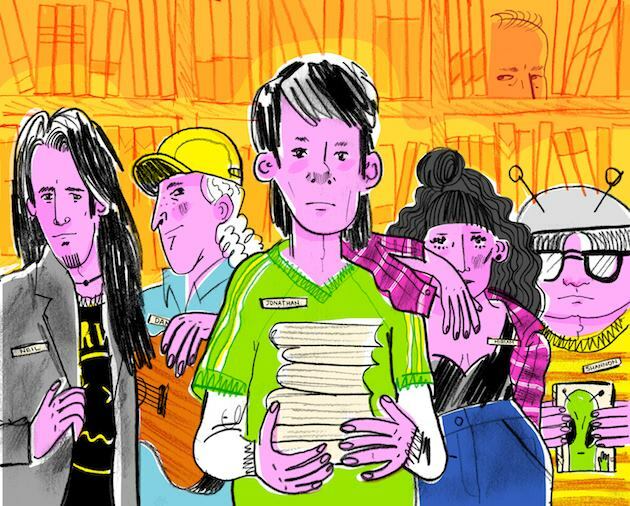 Why Goodreads? They have become an App Smart choice for me, for I want to return to more book reading, and have set a goal to read at least 24 books this year. Read more about the Goodreads mission here, and let’s connect there if you decide to try it too! You can also follow them on Twitter.